Book reviews – Under Every Leaf. I don’t normally review Non-Fiction books but as a self confessed ‘Empire’ addict, to get a new history of the 1st Sikh war is always welcome. 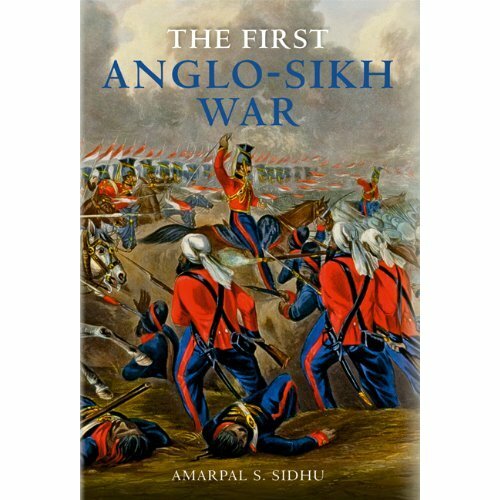 I have read lots of histories on the Sikh wars and inevitably they are mostly written from the British point of view, the wonderful thing about this book is that it comes from a much more Sikh perspective. This gives the book a freshness that has been missing form a lot of the histories I have read before. The author gives a nice brief description of the background to the cause of the war but the real strength of his book is the chapters outlining each major battle. For each battle the author gives us an overview of the battles context within the war, a nice break down of the forces involved, a good narrative of the actual battle and then the aftermath of the battle and where this leaves us within the wider war. This is a well written and researched book that is useful for people who have only just started reading about the Sikh Wars but also bring new insights which would interest the more experienced reader. This is a wonderful history of the 1st Sikh war and I highly recommend it to anyone with a passing history of the Formation of the British Raj and the Bravery of the Sikh Armies. The author is currently working on the 2nd Sikh wars.